Item: Vintage Kilgore American Cast Iron Cap Gun. Made in USA. 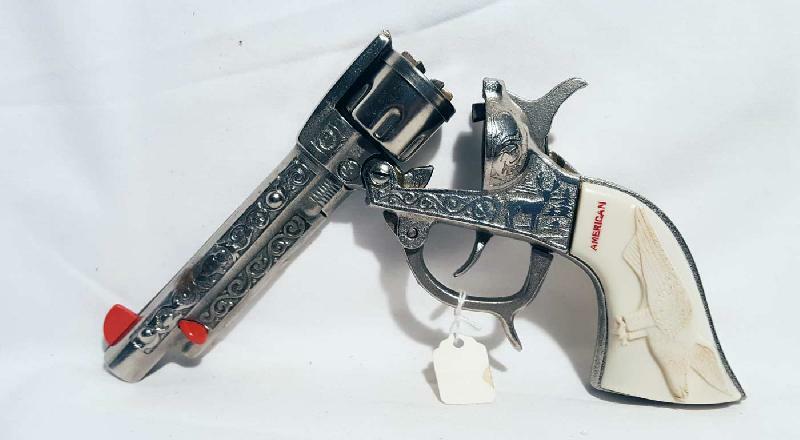 Vintage Kilgore American Cast Iron Cap Gun. Made in USA. Great luster. Slight warpping at top of grips. Condition (Excellent). Size 10 L.